I love plants and gardens - I've spent the last 50 or so years associated with them in some way or other but I rarely get sentimental over them - yes I'm a tough, insensitive male! Now's what's brought this on you might ask? 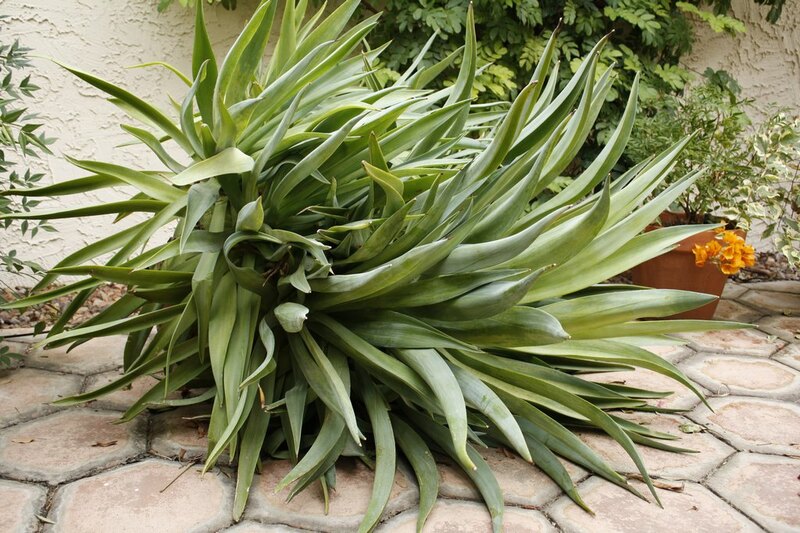 Well in the storm a couple of weeks ago a large plant of Agave desmettiana in a pot in our yard fell over. Nothing I did would make it stay upright from then onwards, so yesterday I dismembered it with a spade, re-potted a small section and dumped the rest in the trash. Even my partner who's not a gardener winced as we hefted the main crown, nearly a metre across, in with the empty bottles, cans and pizza boxes. Me - I didn't feel a thing! My Agave having a rest on its side prior to its demise! I have never really understood the sentimentality aspect of gardening. I remember years ago hearing of someone who always bought the smallest plants from a display because she felt sorry for them. Get real! Many times over the years I have been shown miserable looking plants and asked for advice - easy - put them on the compost and get a new one! Old or heritage plants do have the ability to nudge my deeply buried feelings. Back in 1997, whilst I was developing the National Collection of Canna, I received a small package with a post mark from India. Inside was a tiny shriveled canna rhizome and a note saying 'From Madras Botanics'. Now I didn't question too closely how this plant escaped from the garden but carefully nurtured it through the winter. In the spring, it started to grow vigorously with huge green leaves and eventually flowered with enormous frilly yellow flowers, blotched and spotted with red. This had to be something special but what? Eventually I came across an account and then prints, of the exciting novelty canna for 1895 - 'Italia'. The descriptions and pictures matched exactly! I was thrilled to have discovered this touch of history. 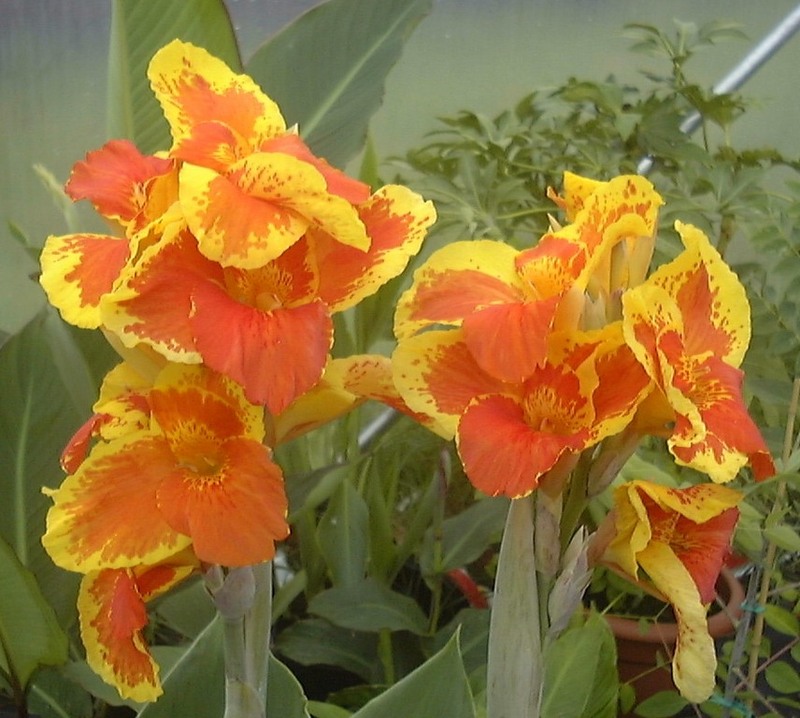 (Read More) Sadly when virus struck the canna collection some years later, this cultivar along with 500 others succumbed and had to be destroyed. That did pluck at my heart strings and I often wonder - is a healthy plant of 'Italia' still out there somewhere, defying disease and time? In my various jobs I have often had to make difficult decisions over the felling of trees and whilst not being sentimental, these are nevertheless tough. Acting as judge, if not executioner, for a 100 year old tree is a serious challenge. Nevertheless if a tree has passed its useful span, is unsafe or no longer attractive, my attitude has always been fell it and plant a new one. But somewhere amongst all that ice in my heart, I think there is a glimmer of warmth. 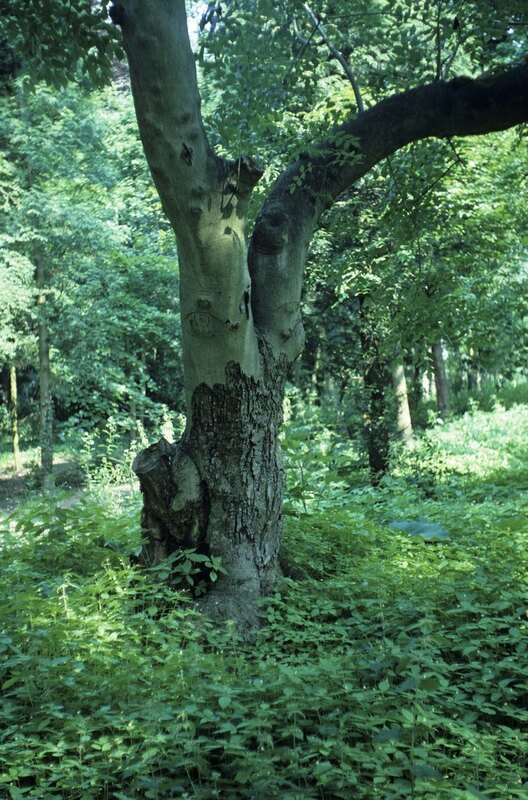 I recall years ago whilst clearing an old historic garden in Whiteknights, the campus of Reading University, we discovered an ancient gnarled manna ash almost smothered with brambles. Its shape was quite distinct with a very prominent graft union at waist height. Some weeks later whilst doing some research, I found a Gardener's Chronicle of 1900, describing the garden and this tree in intimate detail. It was so exciting to discover this little piece of living history. We inspected the tree and feeling it looked fragile, I gave instructions for its slender branches to be supported, a job for the next day. Just that night, there was a storm and this tree split completely in two with both halves separating from the graft. It was gone, with just a picture and a printed account to mark its passing. This heartless horticulturalist did shed a tear or two that day! I think part of being a good gardener is by being a 'steward of the garden', being in control of the garden and having the ability to be pragmatic about things as and when necessary, and that includes getting rid of plants if needed be.